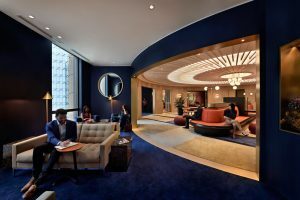 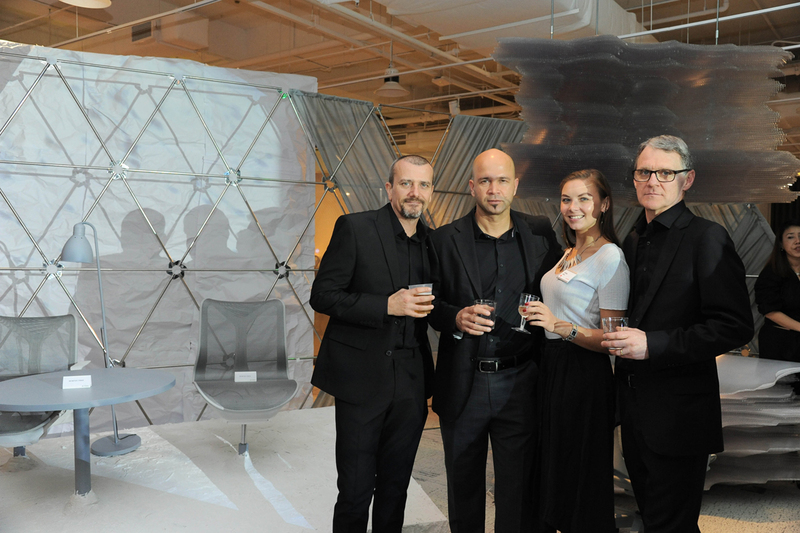 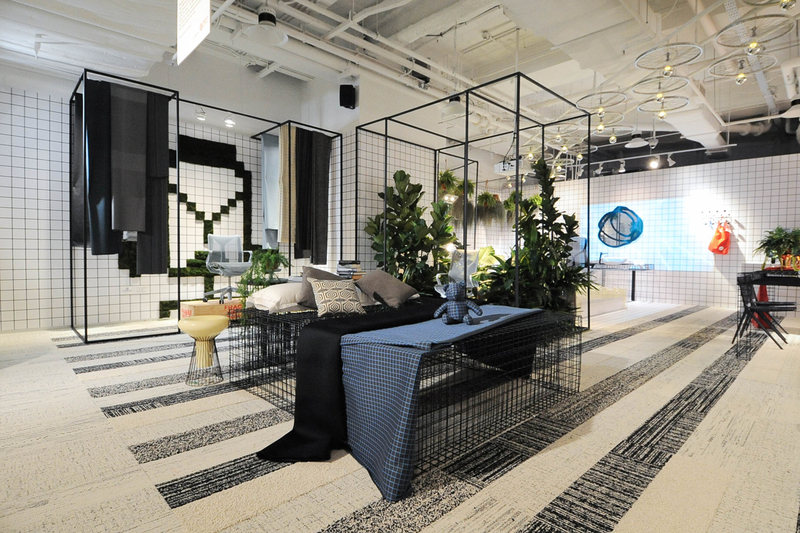 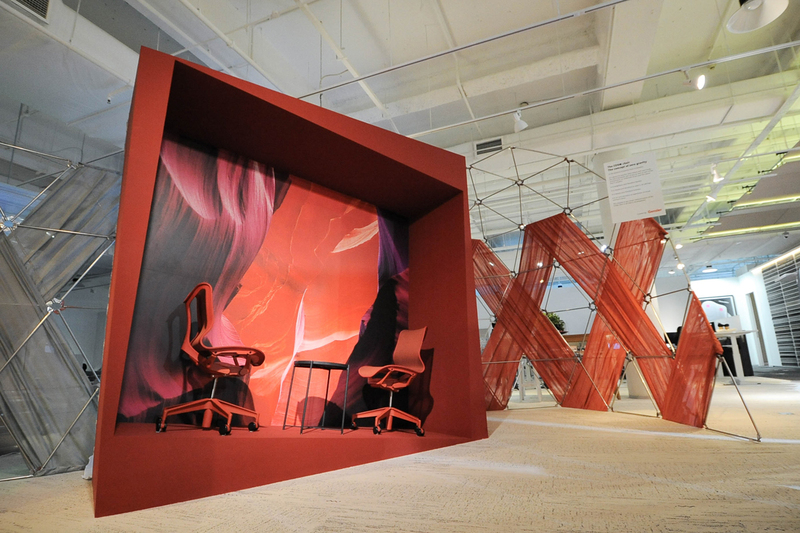 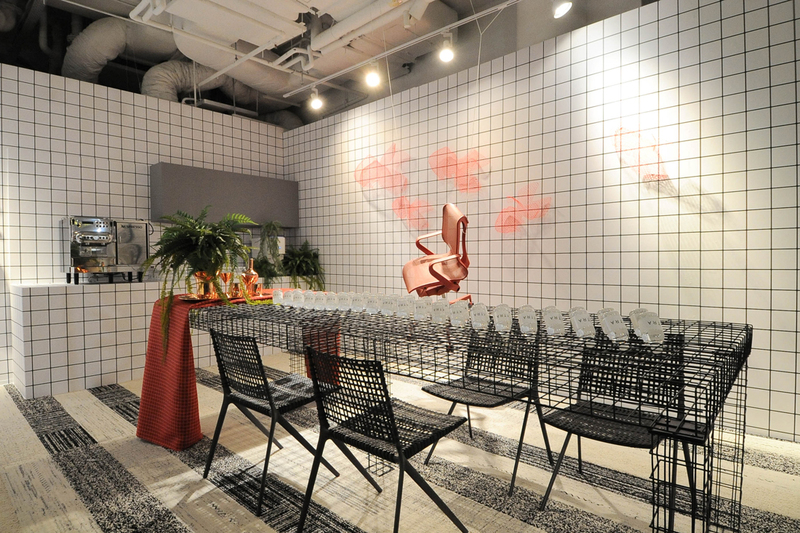 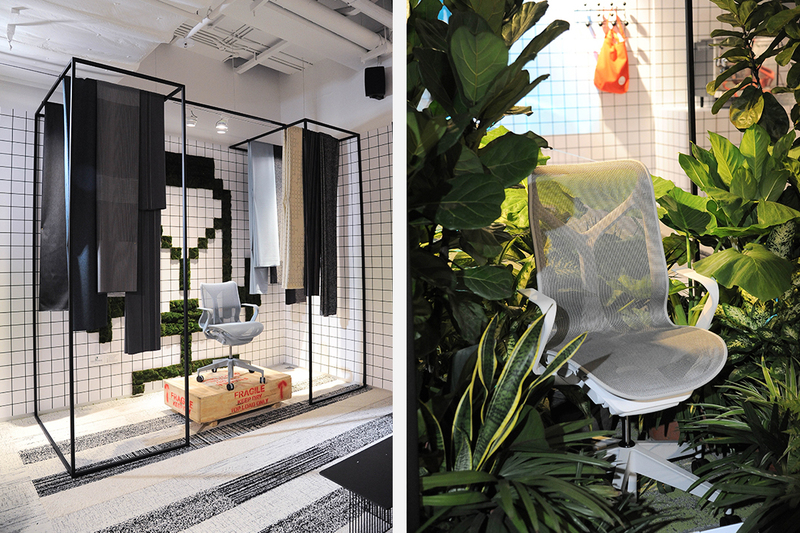 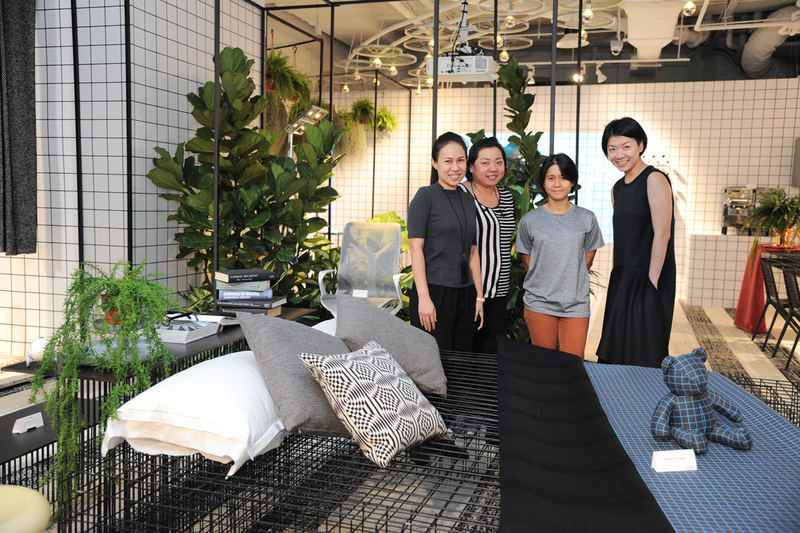 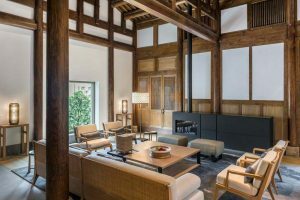 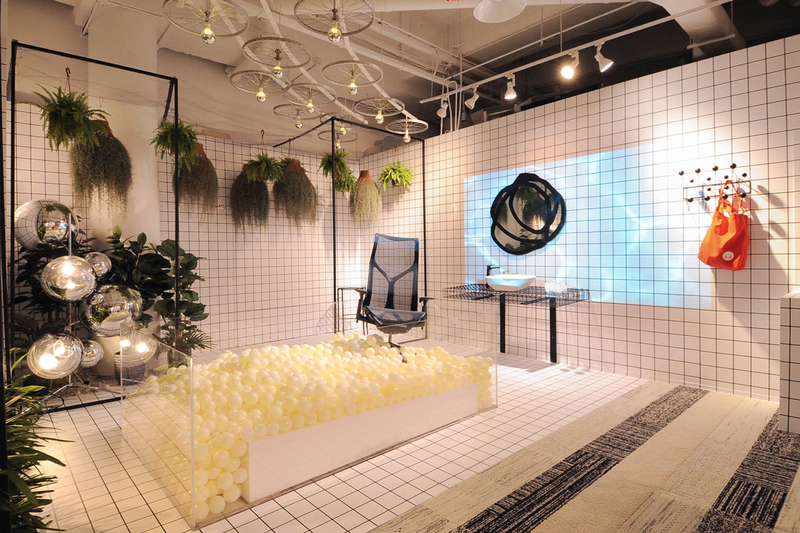 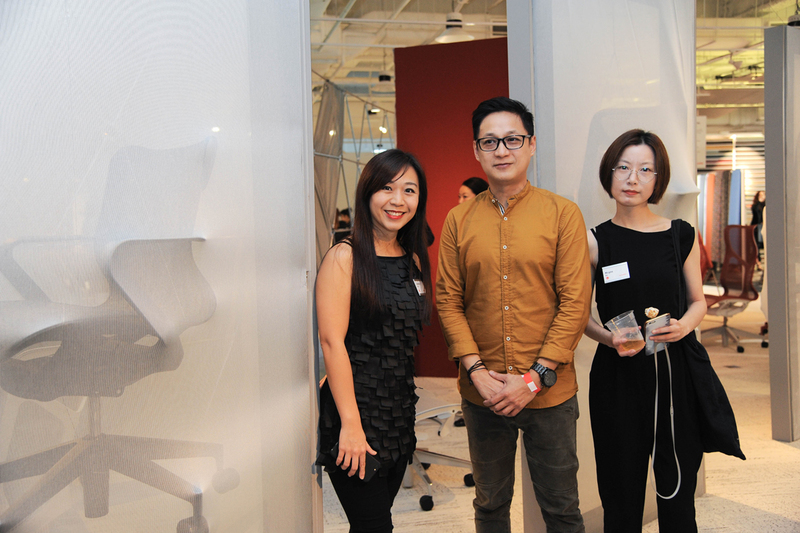 Special installations by two Singapore design studios created the setting for the launch of Herman Miller’s Cosm and the addition of Maharam to XTRA’s offerings. 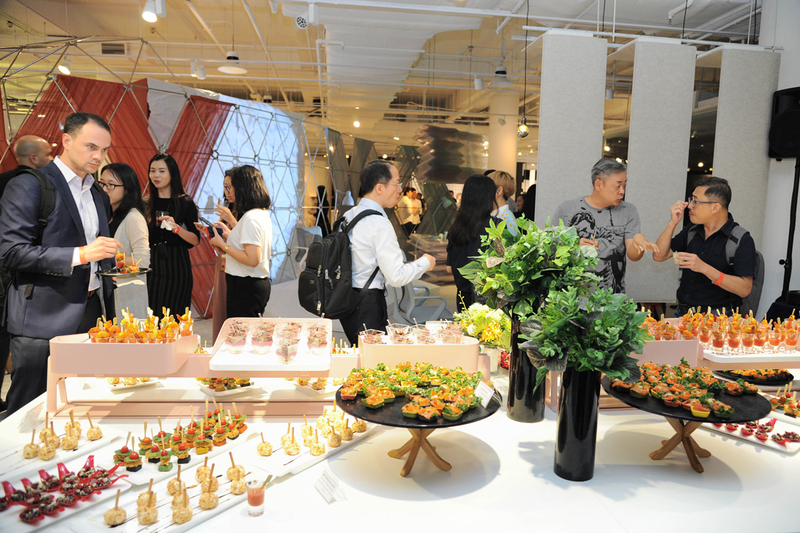 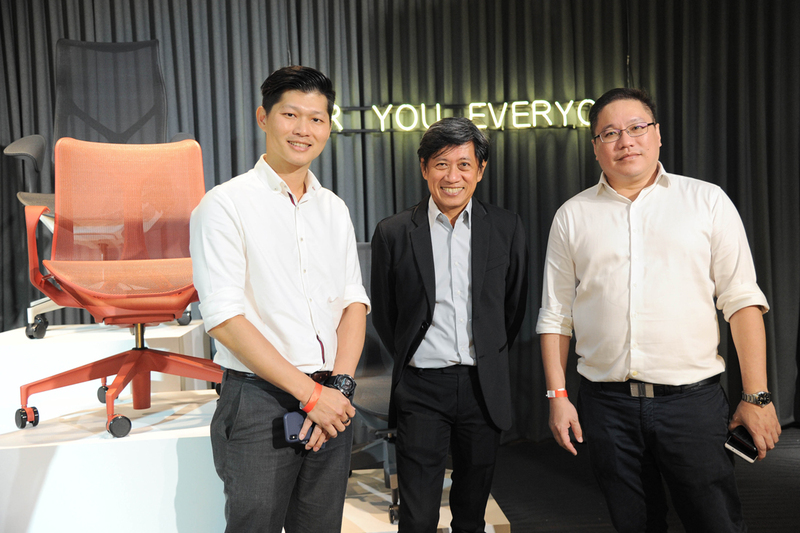 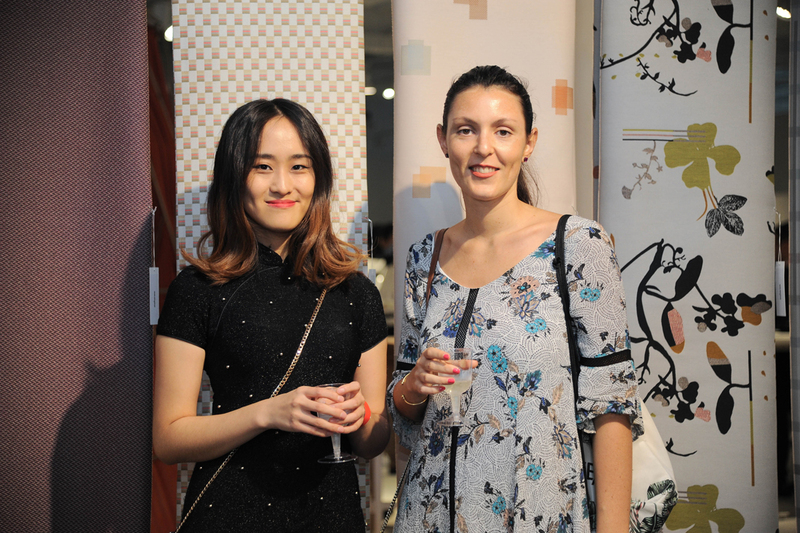 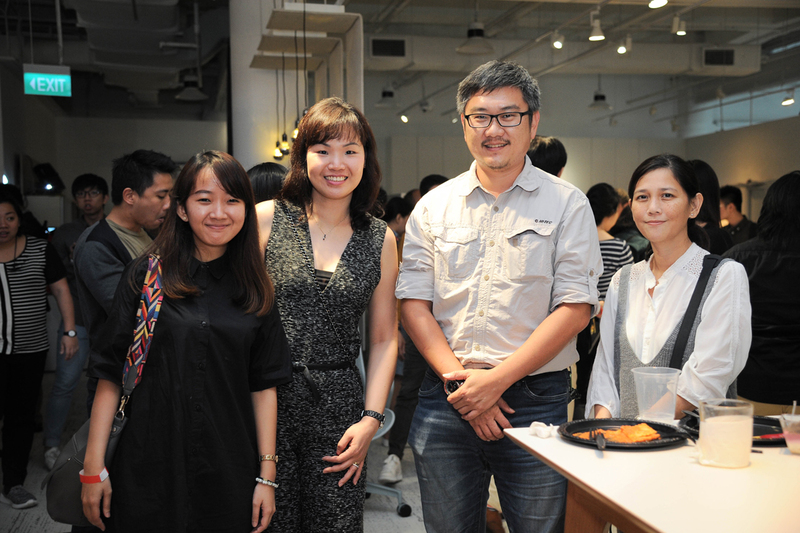 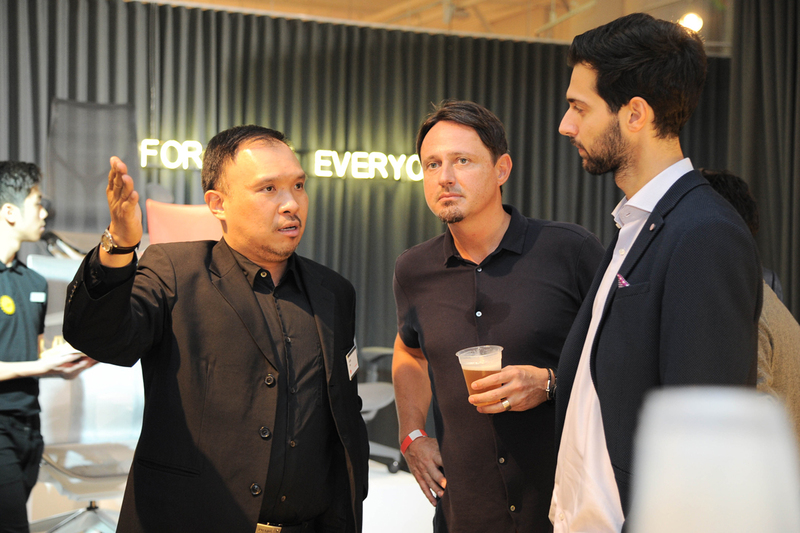 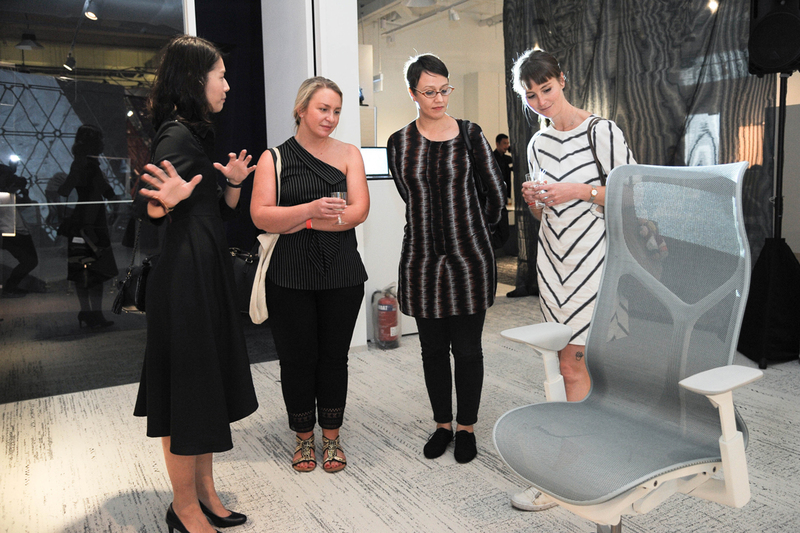 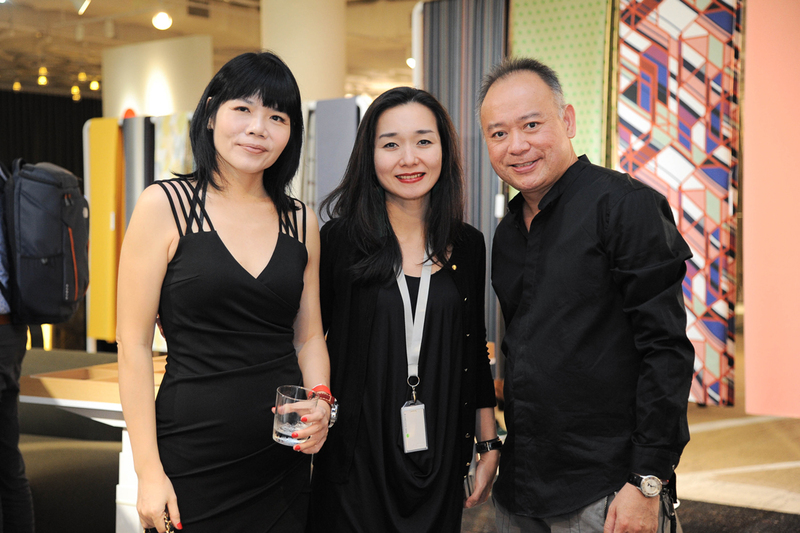 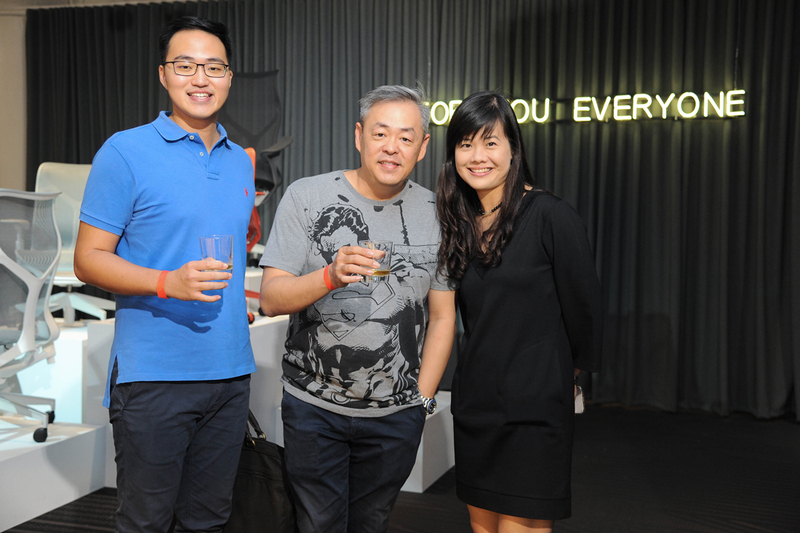 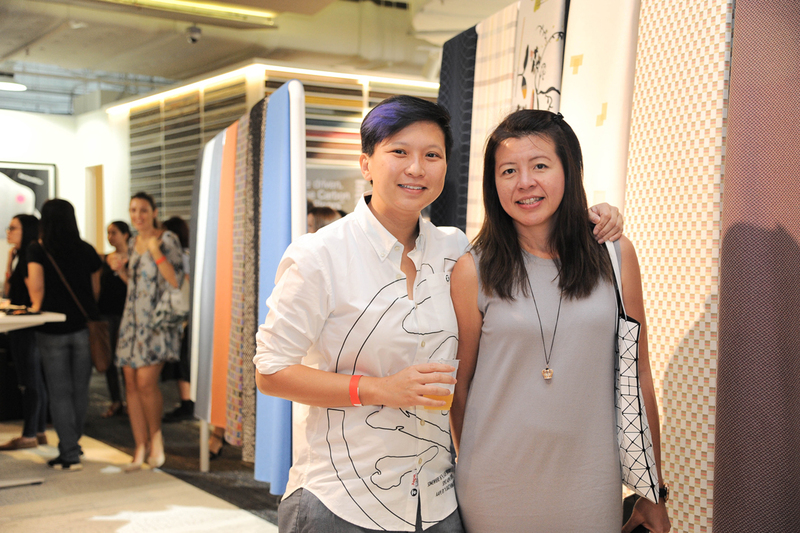 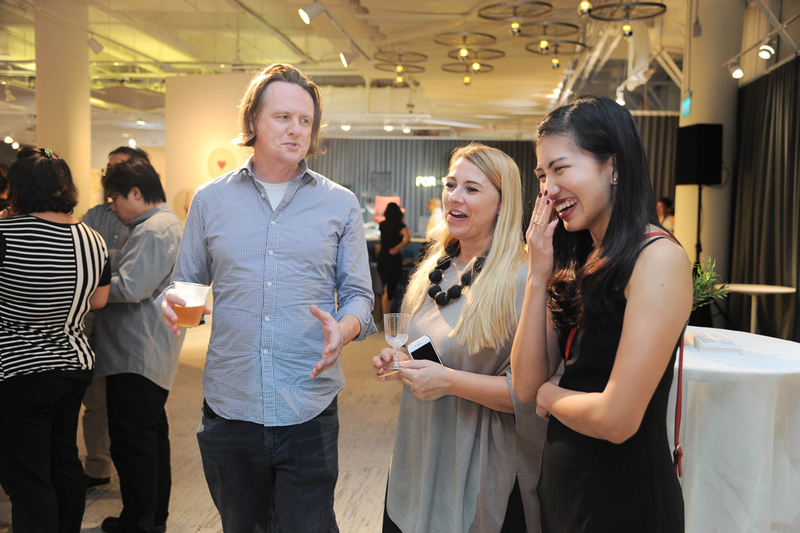 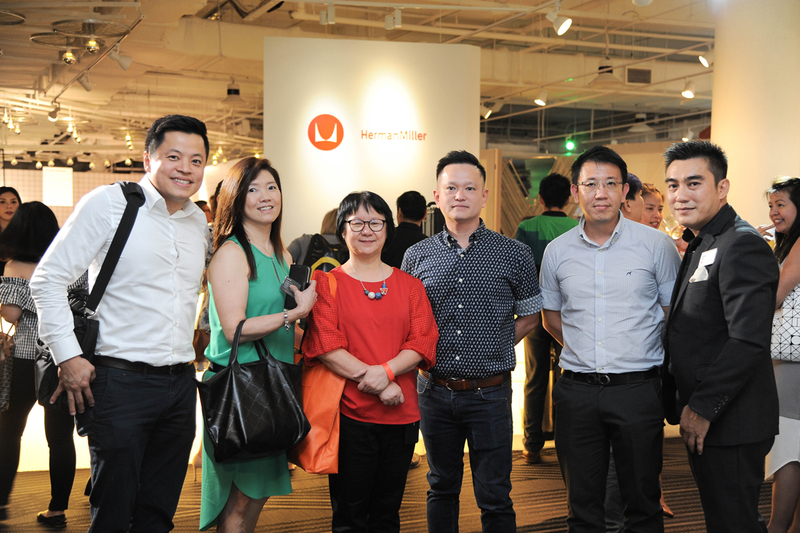 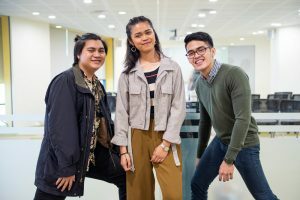 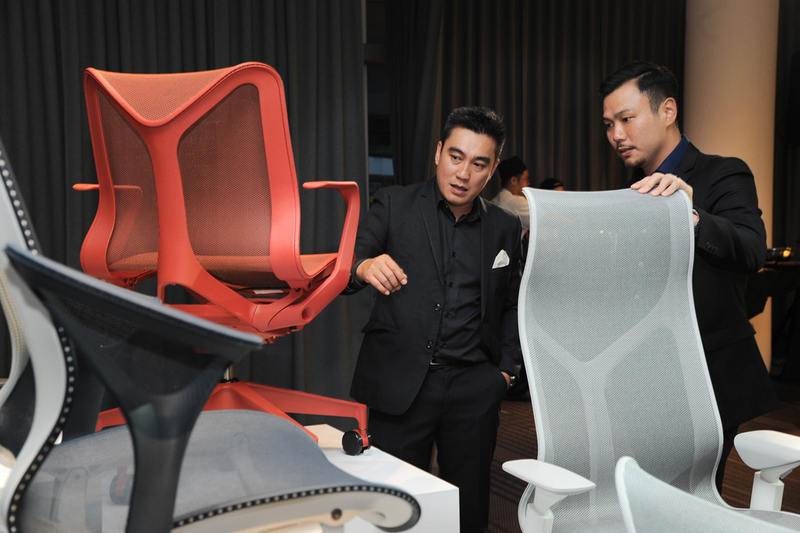 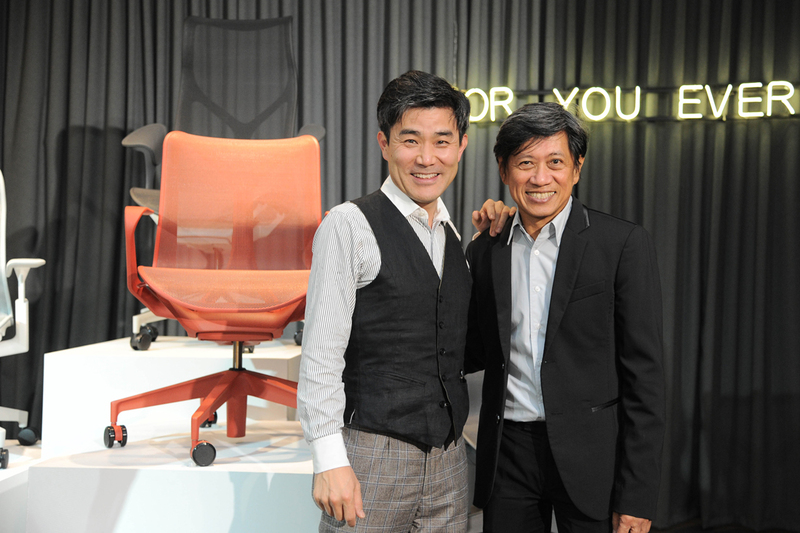 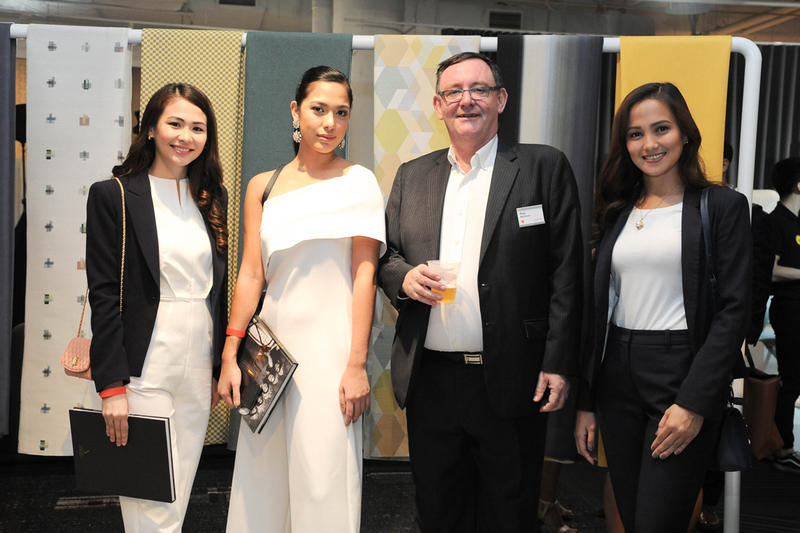 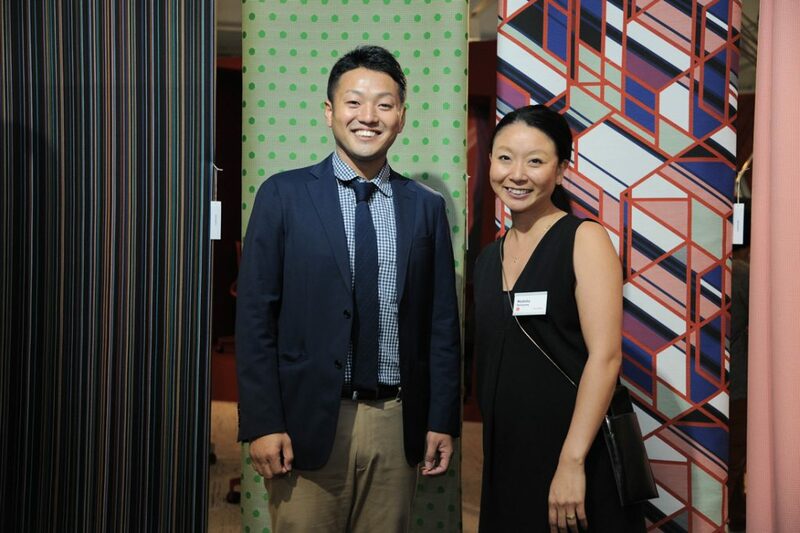 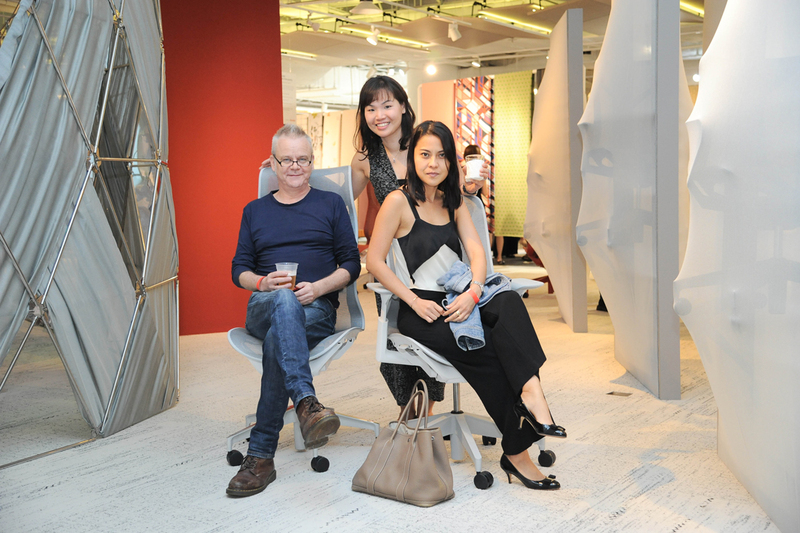 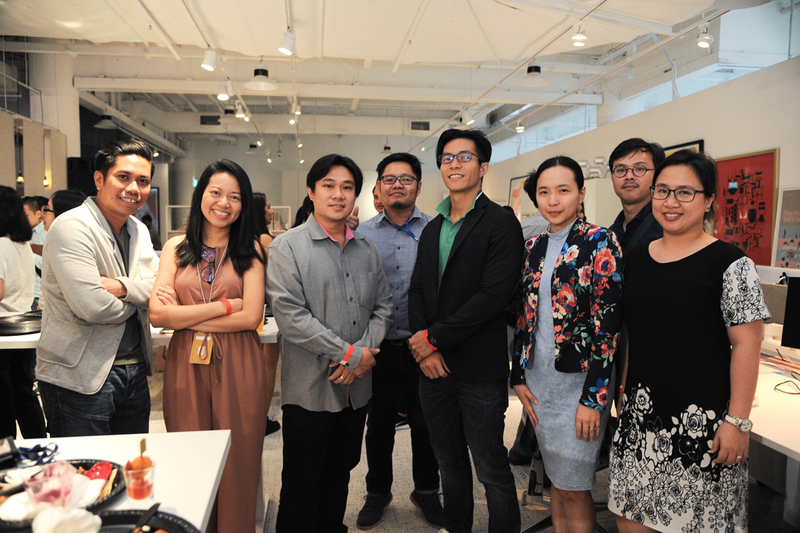 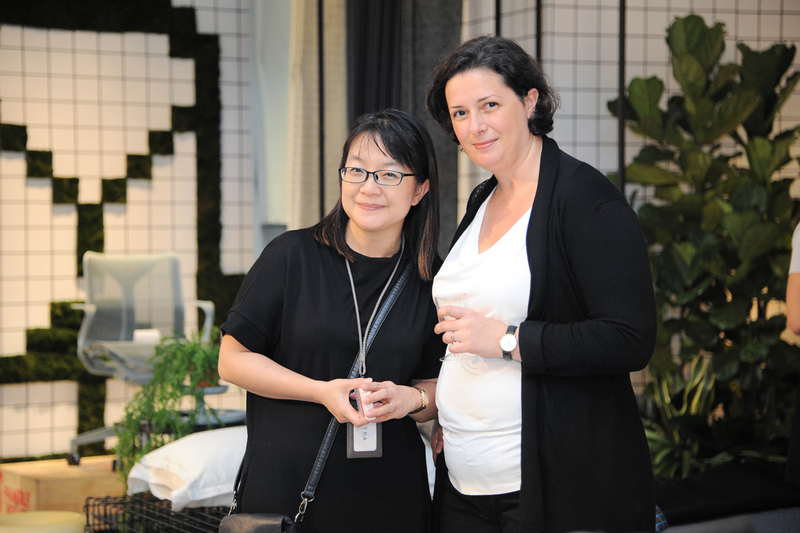 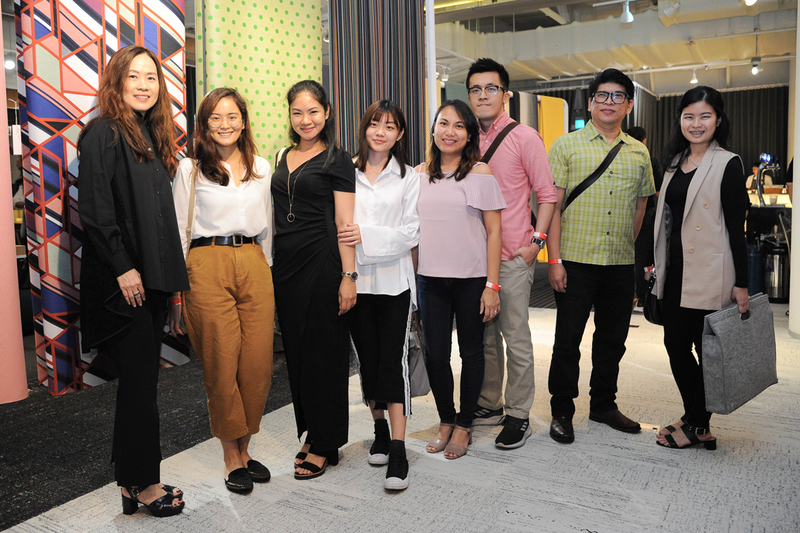 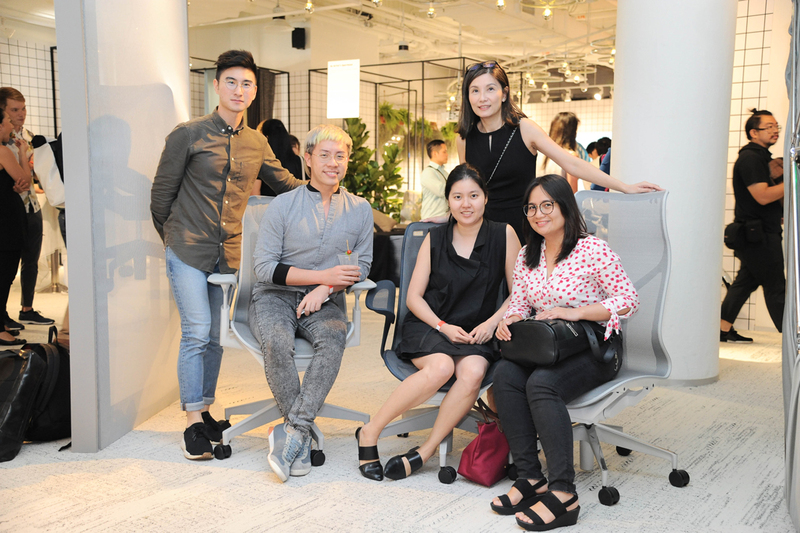 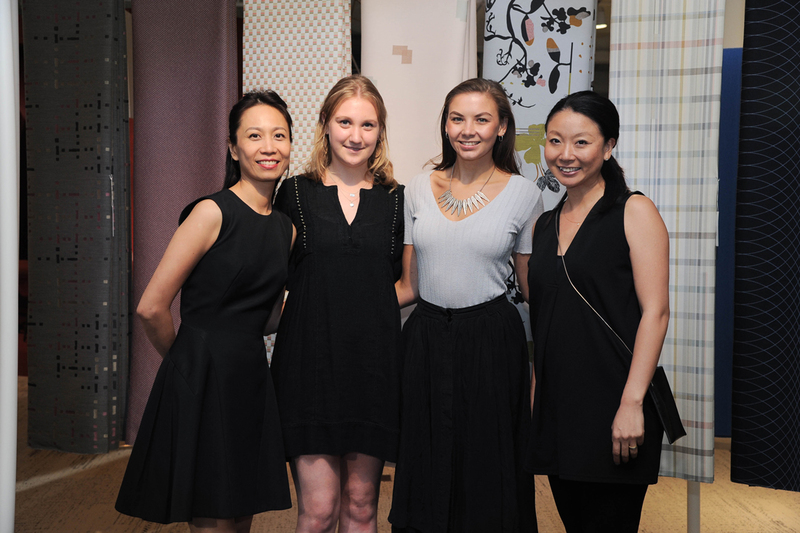 On Wednesday 19 September 2018, XTRA and Herman Miller transformed the XTRA Office showroom at Marina Square for an impressive launch party for the Cosm chair and a select range of Maharam fabrics. 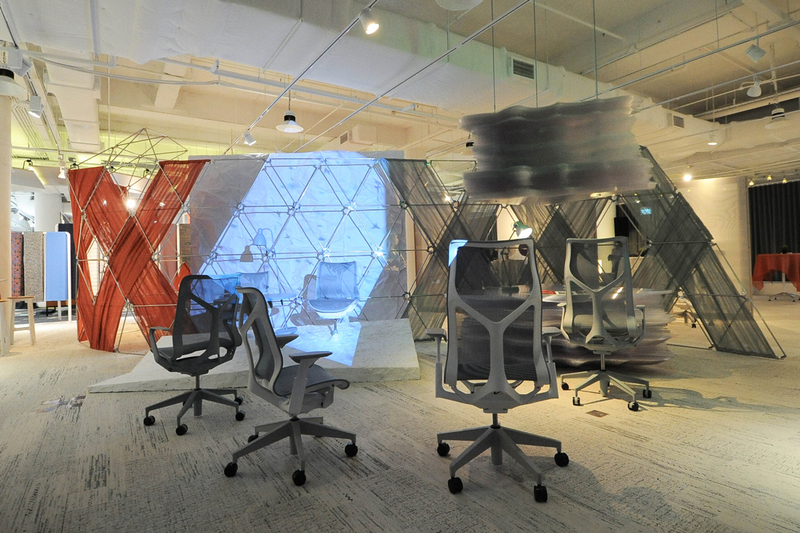 Cosm, designed by German studio Studio 7.5, eliminates the need for constant adjustments. 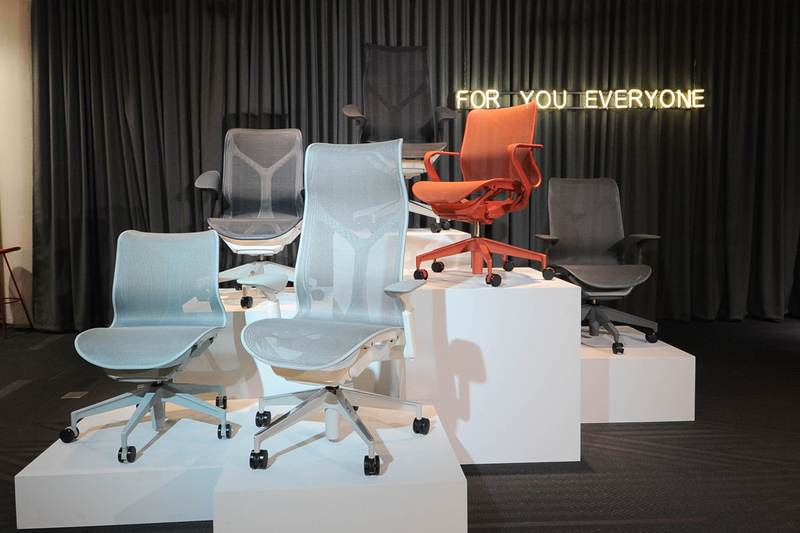 It automatically adjusts to whomever is sitting in it – directly supporting posture and weight, while providing a balanced recline and personalised comfort. 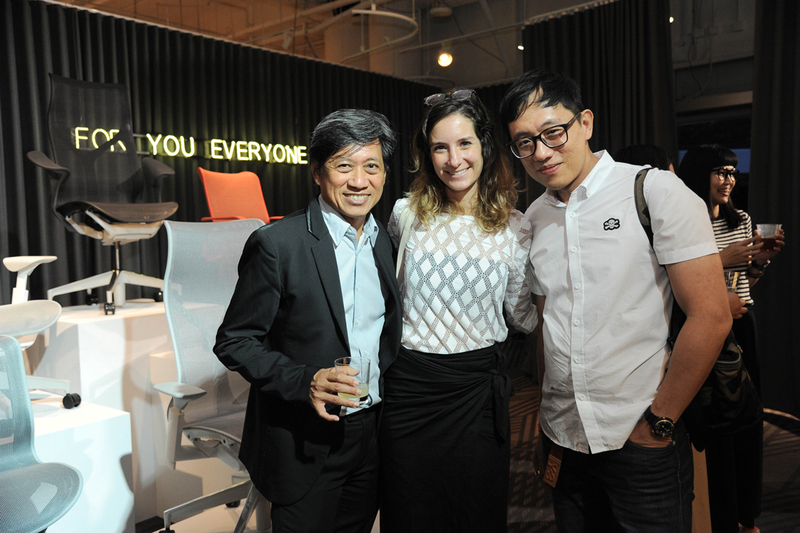 Read more about this ‘chair for everyone’ in our product review here. 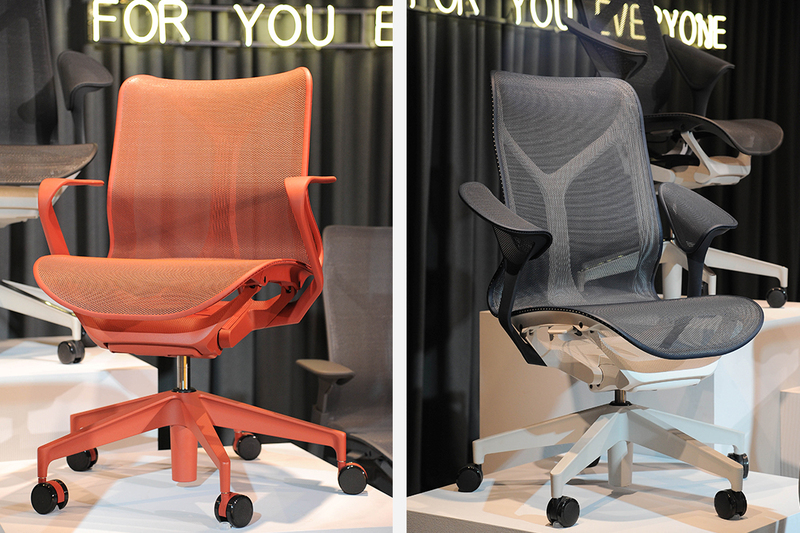 Cosm is Herman Miller’s first task chair with an automatic tilt, which provides continuous support and fluid movement. 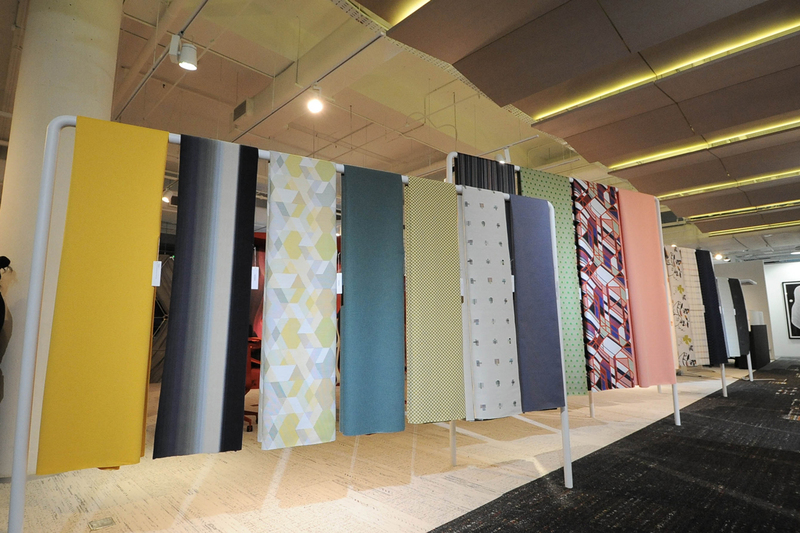 It’s available in one hue from top to bottom for cohesive design. 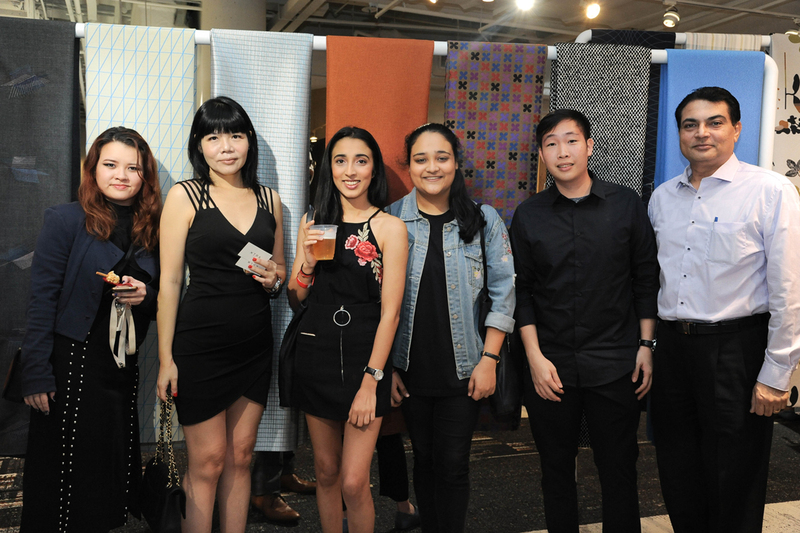 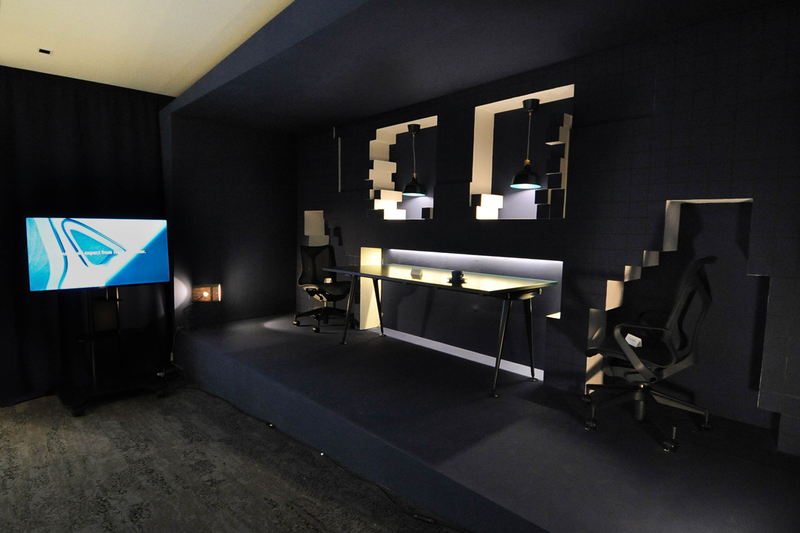 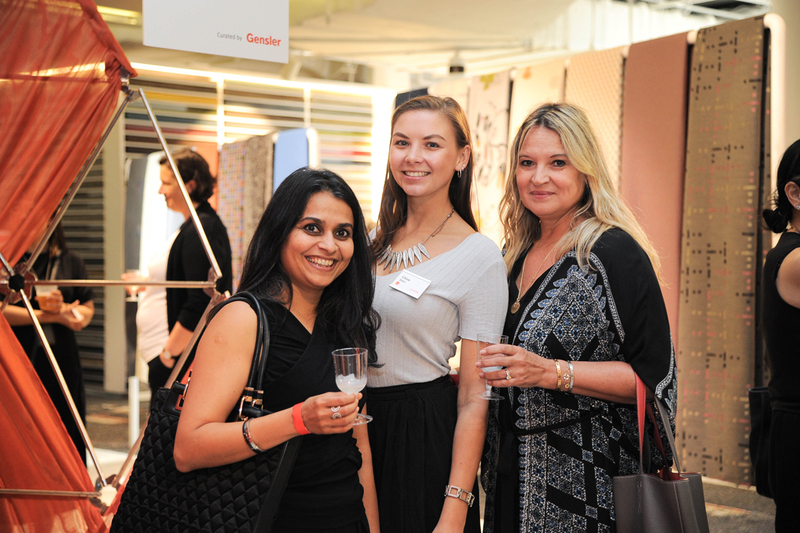 Also presented in a special display were Maharam fabrics, in their first appearance at XTRA. 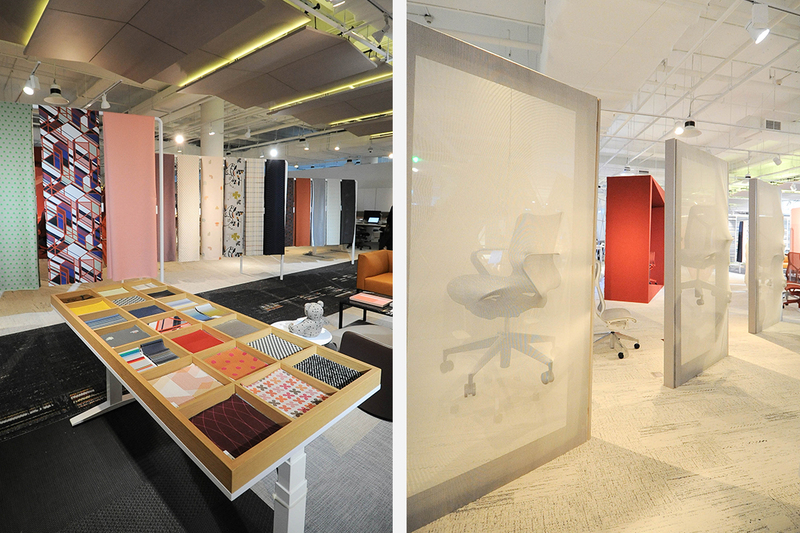 Select fabric ranges will be available for purchase to homeowners and the contract sector at the store, including the Dutch-influenced Darning Sampler, Darning Sampler Large and Darning Sampler Plaid by Scholten & Baijings; timeless Blended Stripe by Paul Smith; impeccably composed Check, Circles, Edges, Plus and Steps by Alexander Girard; and high-performing Relay by the Maharam Design Studio.